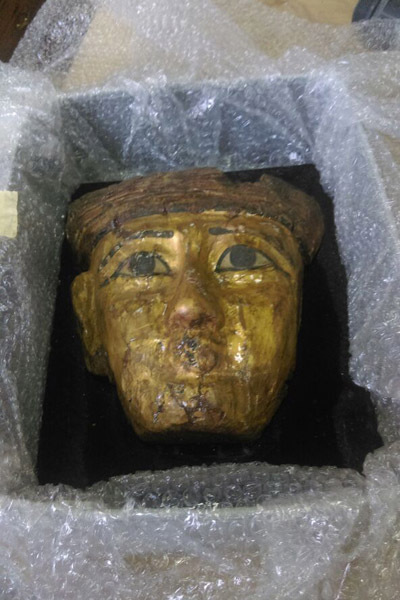 The French-Egyptian citizen said he handed in the mask out of a "sense of belonging and loyalty to his home country"
Due to his "sense of belonging and loyalty to his home country, Egypt," Shehab Al-Farouh Omar, a French-Egyptian citizen, handed over to the Ministry of Antiquities a golden mummy mask that was gifted to him by a friend on the birthday of his son. Shaaban Abdel Gawad, the general supervisor of the antiquities repatriation department at the ministry described the action as a symbol of patriotism and good will, calling on others in possession of stolen artefacts to imitate Al-Farouk and protect and preserve Egypt’s cultural and archaeological heritage. 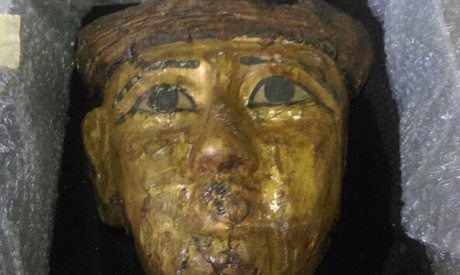 Abdel Gawad told Ahram Online that the mask is now at the Egyptian Museum in Tahrir Square in order to be examined and its authenticity approved. Until now, he said, the mask's dating has not been identified.